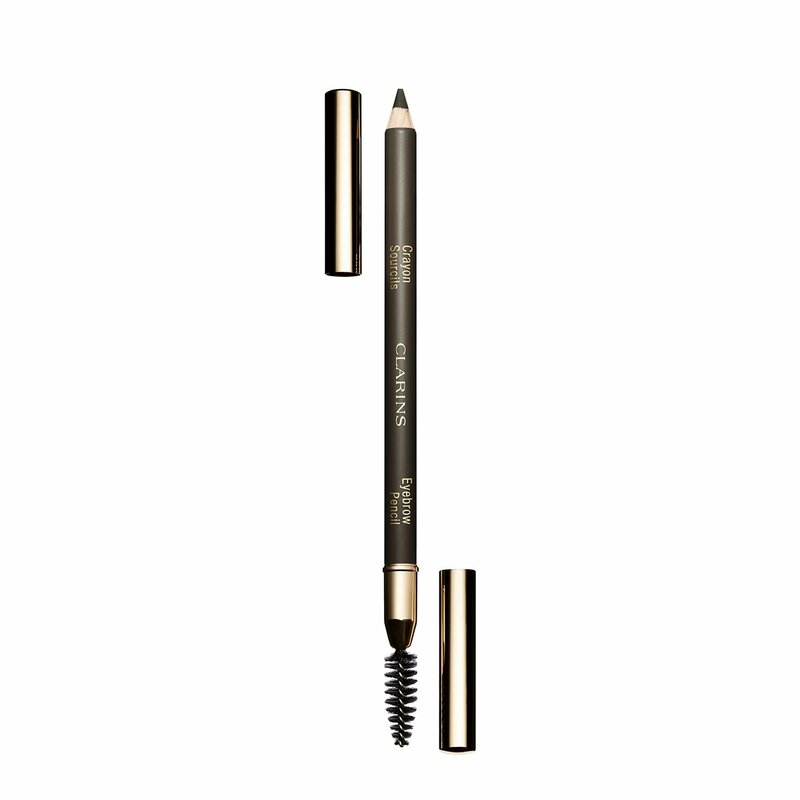 A long-wearing eyebrow pencil that defines and corrects the shape of your brows. A dual-ended tool for a perfect line: the soft and precise pencil defines the curve of the brows while the spiral brush grooms and tames them. Use the brush end to groom your eyebrows. Use the pencil tip to draw tiny criss-cross lines at the start of the brow, then use the flat side of the pencil tip to define the shape. To finish, lightly brush your brows for flawless results. Rated 5 out of 5 by Gurteen from Great product This is the first ever brow pencil I have bought and I love it! It gives a natural look and the brush is really handy. Don’t think I could do without it now. Rated 5 out of 5 by Jomi6 from Great colour! Was dubious about buying this because I needed a gentle brown for my fairly light brows. I did not need to worry, this is perfect and the curly brush on the end is perfect for getting the right shade. Rated 4 out of 5 by Stephtheblogger from This works lovely and it's a great colour match to my eyebrows. Rated 5 out of 5 by YorksLass from Recommended by top make-up artist This was one of two pencils recommended to me by a top London make up artist that I had a private lesson with. I find it excellent to feather in my thinning brows. I use 01 dark brown ... It has a more grey than red base so works for silver and white hair excellently. Recommended to my mother who has a darker grey colouring and found that 03 soft blonde works better for her. This really has become part of my day to day routine when I am not putting a full face on. Rated 5 out of 5 by Sue17 from Right colour Have recently purchased this eyebrow pencil. colour is good and love the brush end. Rated 2 out of 5 by Shmelya from no love here I used it for a couple of years purely because the colour matches perfectly and it's soft creamy texture but it would smudge on my oily skin. Recently I bought a replacement for the measly stub I had left and discovered that it was very hard and dry. It wouldn't softly glide over my skin anymore but I had to use some force to make any mark at all. I don't have thick luxurious brows and it was pulling the last of them! Tried to sharpen it but didn't it help, so I exchanged it for the new one but to no avail. Was the formula changed? If so, please bring back the old one! So I'm using it as a brush. Rated 5 out of 5 by TAJ1 from Lucky Me First time I have tried an eyebrow pencil and this is perfect for my thinning brows. Rated 5 out of 5 by Kikine from Excellent product The product is easily applied, does not smudge and is long-lasting. The brush is fantastic and helps with the shaping.